and the Certified PRO Network virtual conference « Translator T.O. (Sep 27), the Recruitment day (Sep 28), The Great Translation Debate (Sep 29) and the traditional Freelance translator virtual conference (Sep 30). This week, I interviewed Lucia Leszinsky, ProZ.com site staff member devoted to site guidance activities and ProZ.com Certified PRO Network coordinator, who is in charge of the organization of the Site Guidance Day and the Certified PRO Network Virtual Conference to learn more about these events. I was specially curious about the site guidance event and Lucía explained that the ProZ.com site guidance event will be a day of presentations on how to get the most out of ProZ.com. It will include sessions and discussions on ProZ.com’s most popular features, tools and benefits, and attendees will be able to learn how to customize their profiles to meet clients in and outside the site, know more about getting started in translation or expanding their businesses by using the site effectively. During the event attendees will be able to also discuss about the most effective way to use the Blue Board to assess risk and how to use the KudoZ term help system to receive and give help with the translation of tough terms. This event will be about learning how to use ProZ.com for the attendees’ benefit and what is very important is that all ProZ.com’s registered users, members and non-members, are invited to participate. The theme for this year’s conference is “Small changes, big results” so I asked Lucía what big results could attendees to the event expect by simply participating in this event. She explained that attendees will see how applying small changes to their ProZ.com profiles, or attending a short training session, or even checking potential clients’ contact details before taking on a project makes a huge difference when it comes to client contact and improving their businesses. I also asked Lucía about the Certified PRO Network Virtual Conference planned for September 26, 2011 and she mentioned that this event will also be a day of presentations on professional promotion, translation tools, translator training and more. This is an event planned for professional translators so access will be restricted to members of the ProZ.com Certified PRO Network only. Members of the ProZ.com Certified PRO Network who wish to attend this event can register also by clicking on “Register now” in the event page. 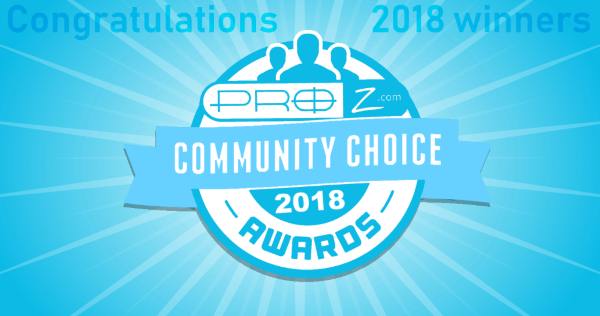 Those site members that are not yet members of the ProZ.com Certified PRO Network are still on time to apply for inclusion into the network and take part in this event. At the end of the interview I asked Lucía to mention three benefits that attendees can get from participating in these events and she did not hesitate to assert that ProZ.com virtual events in general offer attendees unparalleled access to educational content, networking and recruitment opportunities, and more, all within a rich and engaging online environment. She thinks they are a perfect opportunity to network with colleagues, meet clients, expand the knowledge of the translation industry, CAT tools, and other translation and interpretation-related topics. Attendees to virtual events can also meet the site staff virtually and receive personalized assistance with using the tools the site offers to network, improve their work, expand their businesses and have fun. Feedback and comments are welcome. You can reach me at romina at proz.com or via Twitter @ProZcom . Don’t forget to sign up for the events planned for the free ProZ.com’s virtual event series 2011. All these events are designed to celebrate International Translation Day so you cannot miss them! Thank you, Romina, for setting out very clearly the benefits of all these virtual-conferencing opportunities with ProZ. I shall have to examine more closely the timetabling implications, but I hope I shall have free time to attend at least part of the proceedings. I feel that we are poised on the edge of massive changes, and we need to keep in touch – each other and individually. I appreciate what the ProZ team is doing to keep us aware of developments. Thanks, Adam, for your feedback! I hope you can make it to attend the event.